As José Mourinho looks to strengthen his attacking options in the summer transfer window, Álvaro Morata is rumoured to have emerged as the Portuguese manager’s preferred replacement for Zlatan Ibrahimović. The newly minted Champions League winner scored double figures in the league for the first time in his career this season, and played a key role in Zinedine Zidane’s rotation heavy Real Madrid team. According to reports, United are set to offer £60 million for Morata after their initial £52 million bid for the player was rejected. 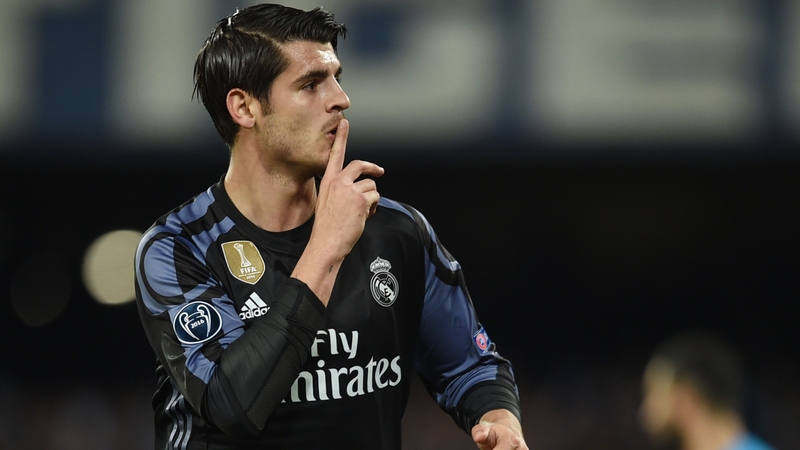 With United being confident about a potential deal, we sat down with La Liga expert Simon Harrison to discuss Morata’s season and get some insight on what he could bring to Old Trafford. Enjoy! UR: Hi Simon! Thanks for sitting down with us. Could you please introduce yourself? SH: Hi, I’m Simon Harrison. I’m a freelance football writer that focuses on La Liga as my specialism. I work for the likes of FourFourTwo, WhoScored and the English edition of Spanish newspaper Marca. Currently, I’m based out in Valencia. UR: Apparently Álvaro Morata is José Mourinho’s number one target for the striker position this summer. How did the Spaniard get on this season for Real Madrid? SH: Álvaro Morata was part of a very important team for Real Madrid last season – sadly, it wasn’t really their first-choice one! He was the back-up option to Karim Benzema, as Zinedine Zidane relied on really heavy rotation to balance getting success both in La Liga and the Champions League. Morata actually managed to outscore Benzema, scoring 15 league goals compared to the Frenchman’s 11, but he started just 14 times in the league. He played just 1334 minutes, compared to Benzema’s 1914. Quite a strike rate, but he was very much a bit-part player, and he deserves to playing much more regularly than that at the age of 24. UR: Morata’s critics say that he simply doesn’t score enough and this criticism is somewhat true when you look at his goals to appearances ratio. Is this down to his style of play, a lack of finishing ability, or simply not getting enough minutes? SH: It is true that this is the first campaign in which Morata has managed a double figures goal tally, but I think that correlates quite heavily with the fact that he has never been a first-choice striker. For Juventus, the most Serie A games that he ever started in a season was 16, and it’s hard to build up the kind of consistency, form and mental strength that you need to be a top striker when your exposure to first-team football isn’t what it could be. The problem with this point is the fact that he needs somebody to put faith in him, as there’s no current evidence to support playing him as the unquestioned number nine. He has experience of both La Liga and Serie A, where he has been in title winning squads, plus international caps, but he needs a campaign where he starts 25 or 30 league games to really prove his worth. UR: Do you think Morata is capable of leading the line for Manchester United next season as a sole striker? SH: This is a tough one, because I really liked Morata in a front two at Juventus. With somebody else to bounce off, I think that he is an interesting player, as he does the simple things well. This season, he has mainly played as a lone striker, but has also been thrown into plenty of games late on to provide more of a presence in the penalty area when Real Madrid have become a little bit desperate. It is tough to really put Morata into a specific category, however. He isn’t a big target man, nor is he known for his pace or skill. This season has shown that he can take chances, but the stats don’t tell the story of his occasional hesitancy or poor decision making in the penalty area – he needs a confidence boost that would come from regular minutes and goals. He is a hard worker, who is desperate to prove himself and show that he can be a key man, and the World Cup in 2018 is further motivation to impress if he wants to be in Julen Lopetegui’s plans on a long-term basis. That is the one guarantee which can be given, he will give everything to succeed. Morata has often been something of a foil for Real Madrid, which allows for more creative options to be brought upfield as a result of his usually unselfish play. He is a balanced player, he would offer a well-rounded skill set and that kind of versatility would be useful when used up front, as it wouldn’t limit Manchester United to playing in just one particular style with him on the pitch. Often, the football that United have played this season has grown predictable, but I think that Morata would offer a profile that allows for some variation in terms of approach. He’s relatively quick and strong, he isn’t afraid to drive at a player at pace, and he can bring others into play. He isn’t too bad in the air, either. Mourinho would have a lot to think about in terms of how best to use him. UR: OK lets talk money. How much should United expect to pay for Morata’s services? SH: Given that Real Madrid paid Juventus €30m to activate their buy-back clause last summer, it isn’t likely to be a cheap deal. His 15 La Liga goals will have invariably pushed that value up, and some of the deals that have already gone through this summer have shown what Premier League giants are capable of conjuring up to get their man. Personally, I think that the lowest amount Real Madrid should consider is 40 million euros, purely down to making a healthy amount above what they last paid for him. If he is to stay put in Madrid, last season showed that he wasn’t happy to play a second-string role, so it might get to a point where Real Madrid ignore their dream sale figure to avoid keeping an unhappy player in their dressing room. Even though Morata loves the club, he has admitted that he needs to play more. Reports in Spain suggest that the likes of Milan and Man United would be asked to pay 60-65 million euros, but I think that kind of deal is very expensive indeed. There are certainly better targets available for that kind of outlay. We’d like to thank Simon for his insight. You can keep up with Simon and his work on Twitter here. You can also keep up with the conductor of this Q&A, Ravi, here.